We’re excited to announce the second annual ArtsFest Hudson. 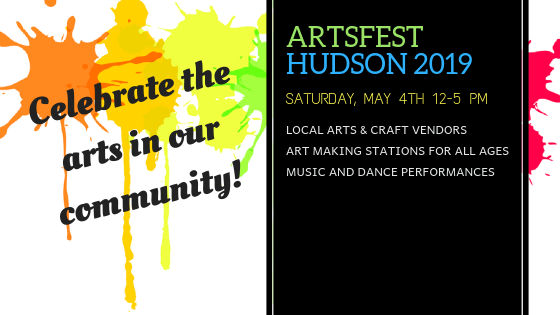 We’ll be building on the popularity of last year’s inaugural festival to bring you the best of the local arts scene, all in downtown Hudson on Saturday, May 4, from 12-5pm. In case of rain, this event will be moved inside to the Boys&Girls Club and the Unitarian Church of Marlborough and Hudson, both on Church Street across from Town Hall. Last year this event brought several thousand people to downtown Hudson, so we need a team of enthusiastic volunteers to make sure the festival runs smoothly! If you’d like to join and be a part of making art happen here in your community, sign up here! 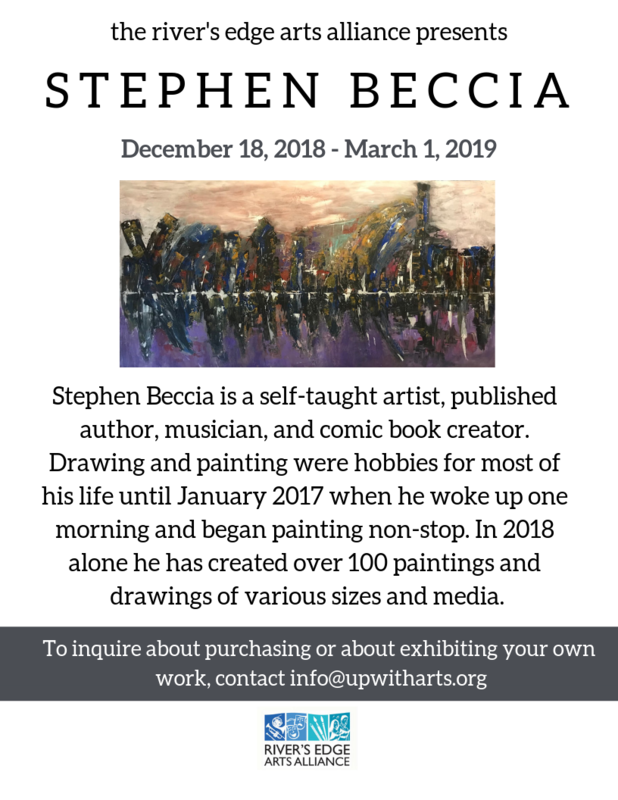 Initial sponsors for this event include the River’s Edge Arts Alliance, Main Street Bank, Serendipity, the Boys & Girls Club, Hudson Town Hall, and the Unitarian Church of Marlborough and Hudson. If you’re interested in finding out more about sponsorship opportunities, please contact info@upwitharts.org. We’d love your pARTnership! Two stages will feature rotating performers drawn from Hudson and the surrounding communities. Come see what’s happening! SPECIAL OFFER: Finish off your ArtsFest day with a thrilling performance by Hudson’s own 65-member Symphony Pro Musica at 7:30 pm at Hudson High School. Symphony Pro Musica has been an important part of the Hudson community since its founding in 1983. For the past 36 years SPM has performed symphonic and choral works, operas, ballets, and family programs in nearly 300 concerts! The orchestra often collaborates with student musicians from the local schools and regularly features rising young soloists. For the May 4th concert, SPM will be joined by prizewinning young violin superstar Inmo Yang in Tchaikovsky’s virtuosic and tuneful Violin Concerto. All students and first-time concertgoers attend free, or use the codeword “ArtsFest” to receive $10 off your ticket! For more information and to buy tickets, please click here. Tickets will also be available at the door. We’ll have fun for all ages up and down Main Street all afternoon, from 12:00pm-5:00pm. Stop by and get involved! We’re so excited about the vendors who will be joining us for ArtsFest this year. Plan to shop your way up and down Main Street and support these wonderful local artists and artisans!